4. At some of the venues J Cole came out to meet fans in the queue and pose for photos with them. 6. It lead to a string of amazing J Cole selfies popping up all over Instagram. 7. There were selfies of people taking selfies with J Cole, it got that serious. 8. But the queuing and budging was totally worth it because J Cole started signing everyones dollars. 9. When people caught on, everyone was waving their dollars in the air trying to get them signed. 10. This person managed to get it signed. 11. This person signed her own one. 14. The concert marked the fifth anniversary of Cole's second mixtape. 16. At another, Trey Songz surprised the crowd by joining J Cole on stage. 18. 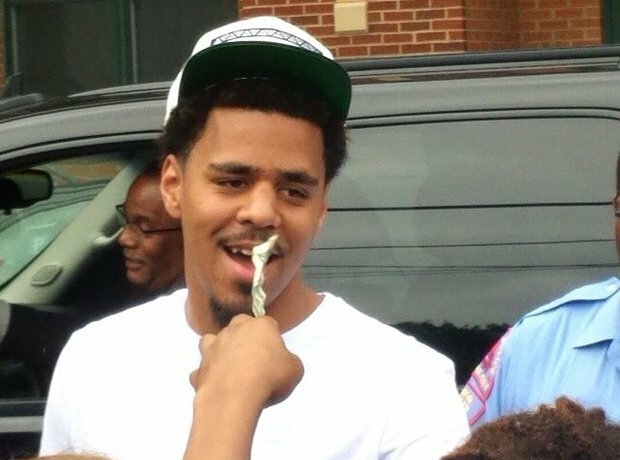 Inside the venues J Cole was still bombarded with $1 bills that needed signing. 20. There's still a handful of shows to go, who knows what could happen?